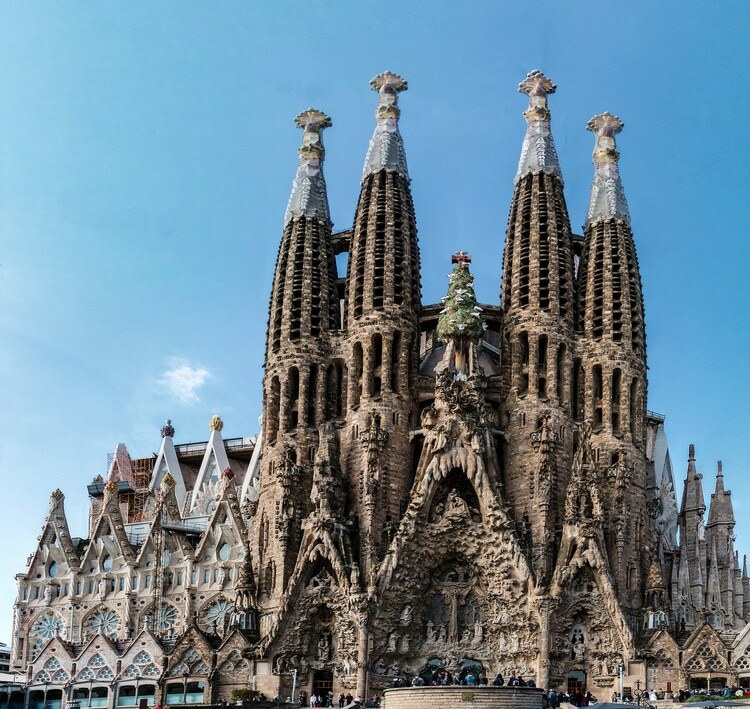 Visit La Sagrada Familia and be marvel at one of the most inspiring and iconic buildings in Spain; An unfinished church, unique in its architecture and conception, the work of the great Catalan teacher Antoni Gaudí. Discover the magic of its spectacular facades, which can be seen even from the most distant points of the city. And traverses its sublime interior, a sample of the ingenuity of the surprising Gaudí. Wherever you look, the magical world of Gaudí will catch you: The wide details, the spiral staircases, the seven chapels, the images of angels, the beautiful stained glass windows and the Gothic architecture … in each and every one of the elements of this Patrimony of Humanity by UNESCO, you will find the imprint of the genius that gave it life. Barcelona’s biggest ornamental fountain, which was built in 1929 for the International Exhibition, offers a spectacular display of music, water acrobatics and lights which generate over 50 kinds of shades and hues. 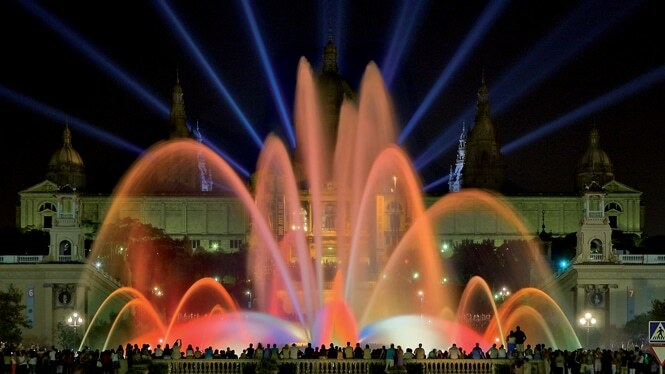 The Montjuïc Magic Fountain has become one of Barcelona’s most popular attractions and is where the “Piromusical” is held, a true balletic spectacle of water and light. 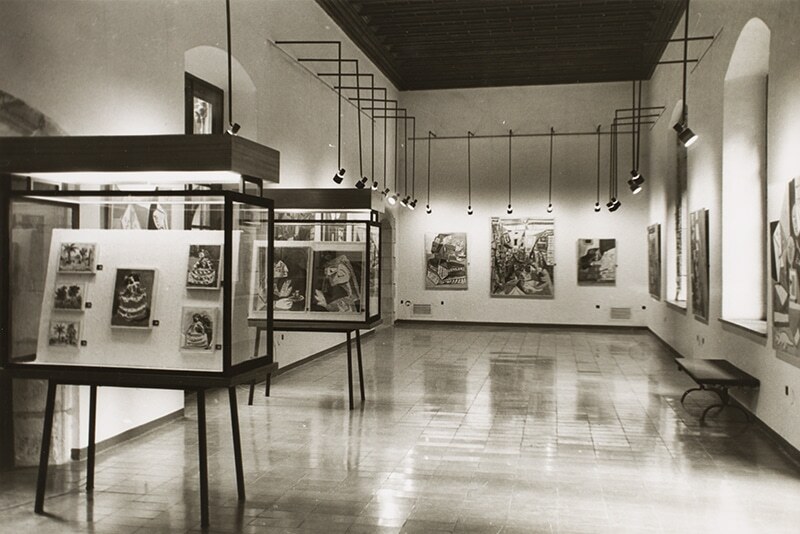 The museum opened its doors in 1963, and was the first museum dedicated to the artist’s work ever to open. The museum is located inside a series of buildings dating back to the 13th and 14th centuries, designed in the Gothic style of the time, each with their own identity and history. A certain degree of controversy surrounded the opening of the museum given Picasso’s opposition to the leader of the time, General Franco, and as a result it originally opened under the name ‘Sabartés Collection’. 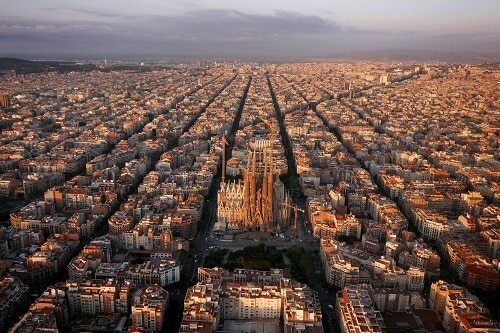 During your trip to Barcelona, it’s absolutely necessary to visit Las Ramblas, a street in the center of the city that appeals to both tourists and locals alike, all of whom enjoy its charm. While Las Ramblas sometimes gets a reputation for being ‘too touristy,’ there are plenty of things to see and do around this famous avenue that are authentic as ever. Camp Nou is the home stadium of FC Barcelona since its completion in 1957, With a seating capacity of 99,354, it is the largest stadium in Spain and Europe, and the third largest football stadium in the world in capacity. It has hosted two European Cup/Champions League finals in 1989 and 1999, two UEFA Cup Winners’ Cup finals, four Inter-Cities Fairs Cup final games, five UEFA Super Cup final games, four Copa del Rey finals, two Copa de la Liga final games, twenty-one Supercopa de España final games, five matches including the opening game of the 1982 FIFA World Cup, two out of four matches at the 1964 European Nations’ Cup and the football competition final at the 1992 Summer Olympics. 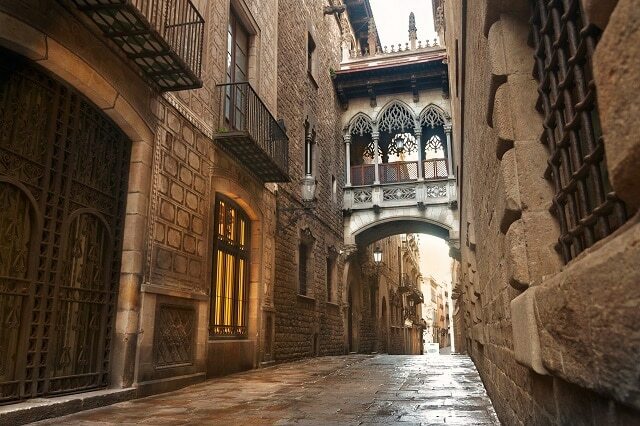 The charming Gothic Quarter, or Barri Gòtic, has narrow medieval streets filled with trendy bars, clubs and Catalan restaurants. The Museu d’Història de Barcelona shows remains of the Roman city. Artisans sell leather and jewelry near the Cathedral of Barcelona, while flower stalls and street-food vendors line busy avenue La Rambla. The Plaça del Pi, named after the adjacent Gothic church, hosts a weekend art market. 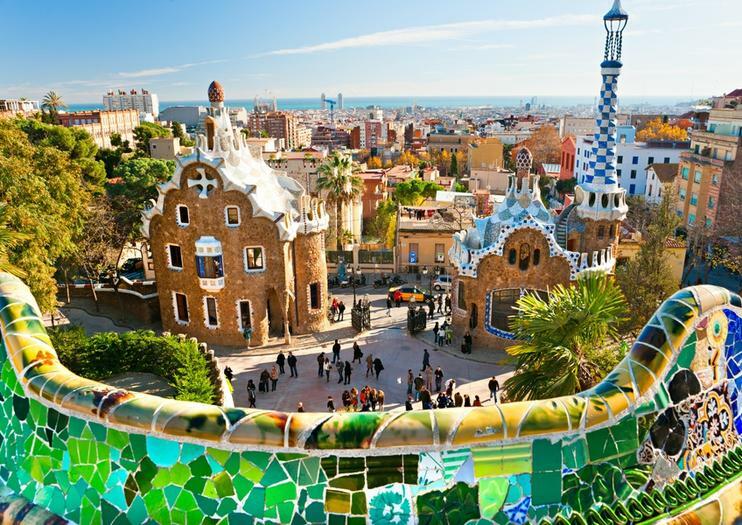 Park Guell is one of the masterpieces of the Catalan architect Antoni Gaudi, who projected it in 1900. Inaugurated as a public park in 1926, it was listed as a UNESCO World Heritage Site in 1984, reconizing its patrimonial and cultural value as a symbol of modern architecture, being one of the biggest exponents of Gaudi’s modernism. This playful urban park, the work of architect Antoni Gaudi, features peaceful greens, winding paths and many sculptures and mosaics designed by Gaudi himself. 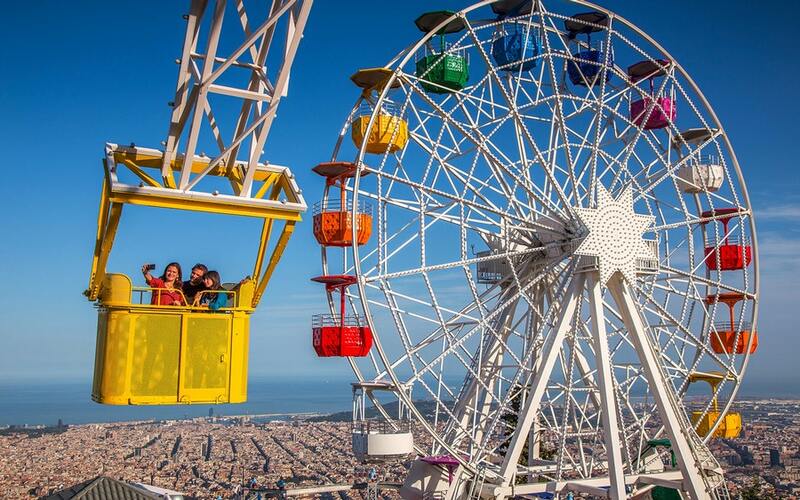 both kids and adults will enjoy the charming little theme park. This beach is inextricably linked to the fishing quarter of the same name, Barceloneta, Barcelona’s classic neighborhood by the sea, where the people of Barcelona love to come and eat fish and seafood dishes and “tapas”. 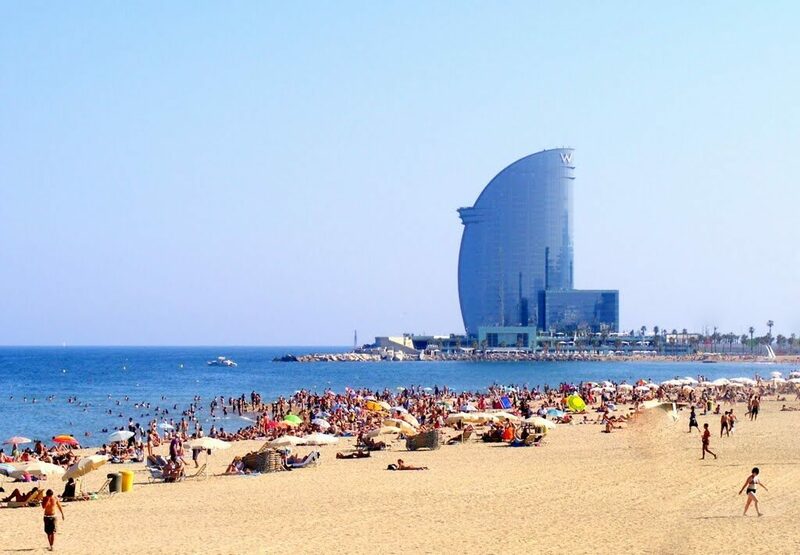 Located in the traditional fishing district, this is one of Barcelona’s oldest and best-loved beaches. It is thought to have inspired Miguel de Cervantes as the setting for the fight between Don Quixote and the Knight of the White Moon. It was here that the knight errant was finally defeated and abandoned his quest. La Mercat de Sant Josep de la Boqueria, which is better known as La Bouqueria, is a very old Market in Barcelona. 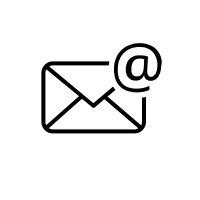 The first mention of it can be found as early as the 1400s. This market is extremely important to the culture of Barcelona. Initially used only as a fish market, it now is a market place for a diverse selection of fresh produce. 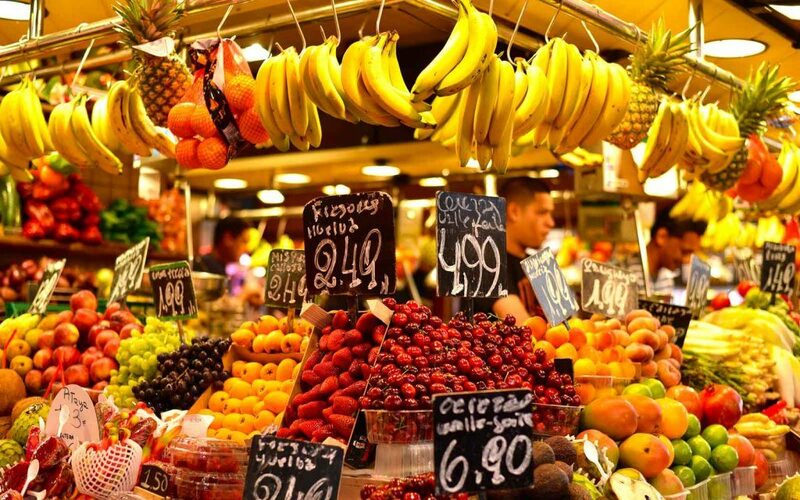 Today, a walk through this market will make you marvel at the number of fresh fruits, vegetables, grocery products, fresh fish and other sea-food and several other food products available under a single roof.